Doll family, that is. Nine (Santa Jack Skellington is not included, as he is certainly not ball jointed) dolls from eight different doll makers. 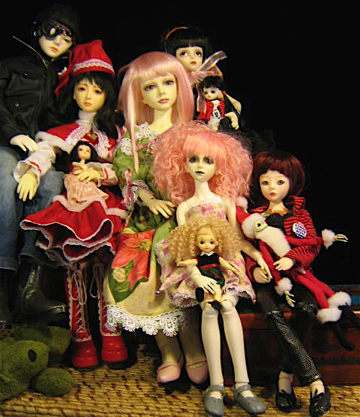 i knew i was in trouble when i decided my dolls had to have dolls!